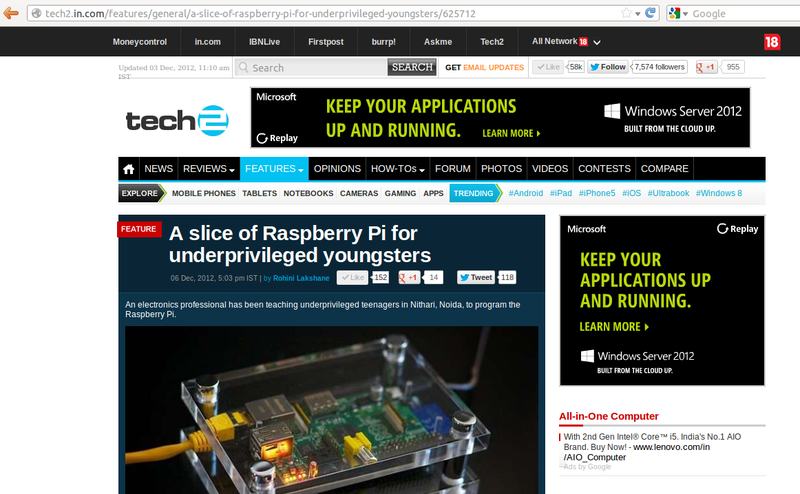 I started teaching kids of 11 to 13 years about electronics, programming. This is a video from their fifth class held on 15th August at ATS Village, Noida. 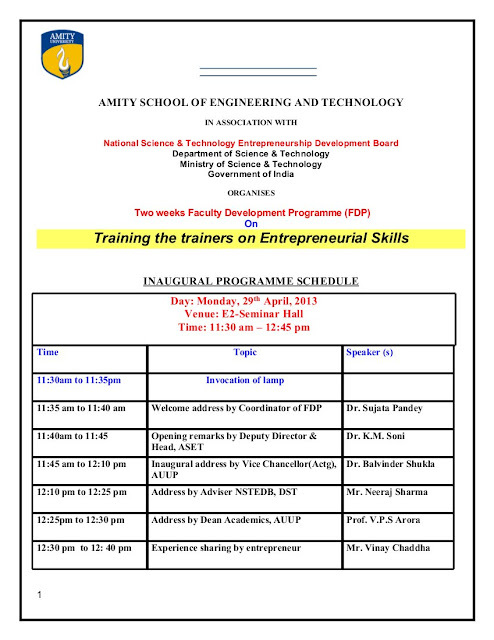 Sharing my experince as entrepreneur with Academicians at Amity. 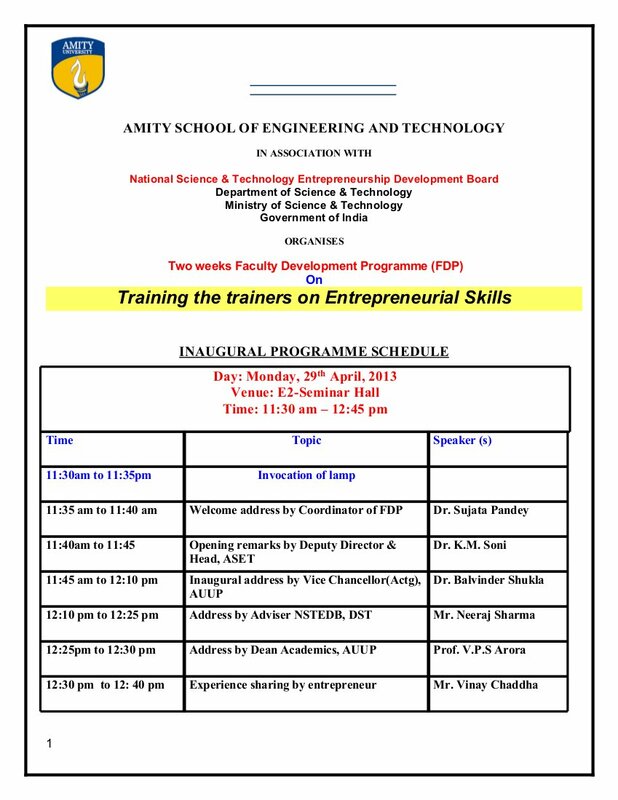 Deptt of Science and Technology and Amity University organised a 2 weeks 'training the trainers on entrepreneurial skills' for faculty. Idea is to train the faculty so that they can encourage the students to be an entrepreneur instead of looking for jobs. I shared my experience with faculty members during the inauguration ceremony and later spend 1.5 hours interacting with students. Completed 52 years of life. Beginning of the day with a morning walk, a cup of black tea with lime and excitement of the day ahead. As an experienced person, I wish to share formula for remaining happy and healthy - DO WHAT YOU LOVE. LOVE WHAT YOU DO. 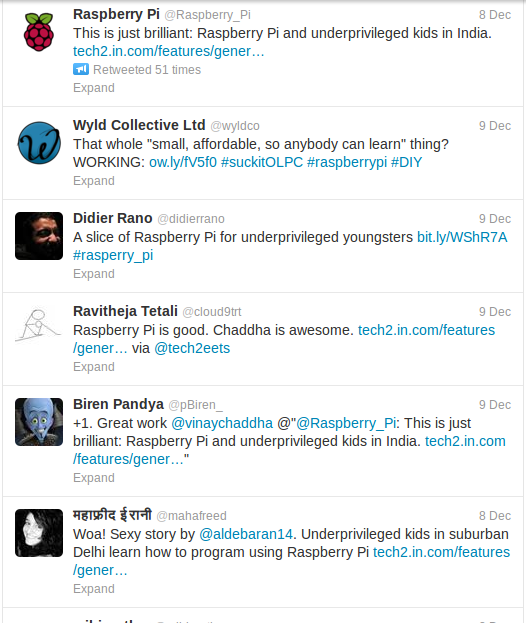 Got up at 3 AM, worked on my laptop, check mails, sent replies and few mails to team and customers and vendor. 6.45 AM - made a cup of black lemon tea with enjoyed it with marie biscuits. At 7 AM, me, Geeta and Maggie went to Mother Dairy for milk vegetables. Tasty paranthas by Geeta with butter for breakfast. Office from 9 AM, work with team, one customer visit, few calls, some orders to vendors. Visited Ambedker Polytechnic, Delhi. Met HOD and scheduled a guest lecture for final year electronics students on March 22nd. Had annual eye check at iCare, Noida. Doctor Charu Tondan prescribed new eye glasses , some eye drops and confirmed that there are no symptoms of Diabetic Retina. Paid for cataract surgeries of two old poor patients for 8th March at iCare. and finally waiting for dinner at home with Upasana, Maggie, Geeta, Tarun, Vinay Ji, Verna Ji, Mohit, Manpreet Kaur and Srishti.